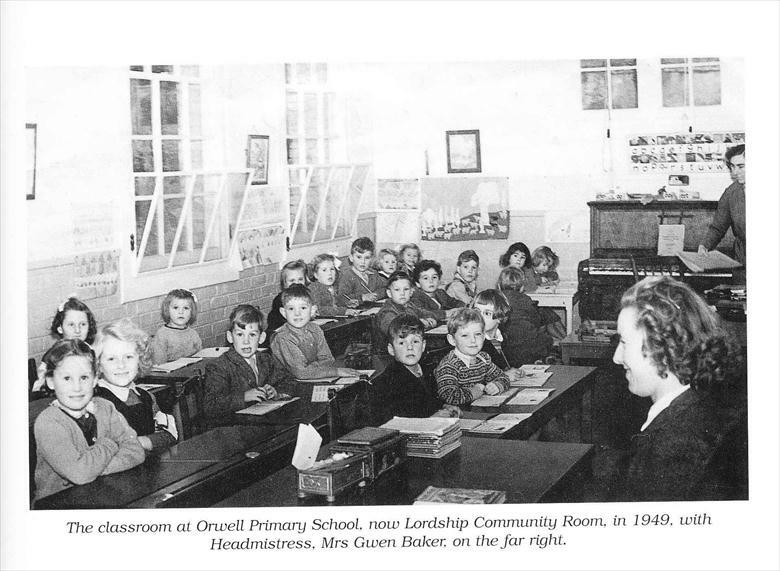 "As an Infant I attended the Council School, now Lordship Community Room in the 1940's. The classroom was keep warm by a pot bellied stove fuelled by an enormous heap of coke in the playground which we were forbidden to play on. To this day the sight of rush mats or the smell of the Lime trees in blossom takes me back to lessons held under the trees when it was very hot. When we reached Junior age we went across the road to the Church school run by Mrs Maddox. This was darker than the Infants school with high leaded windows which you couldn't see out of. We girls did needlework,which I hated,so I often pleaded to be allowed to do gardening with the boys.We listend to BBCSchools programmes and had lovely glossy booklets to accompany them. The large brown radios and their messy accumulators were still a magical possession." This page was added by Pat Grigor on 26/09/2012. 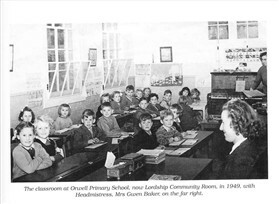 I remember Mrs Maddox, she was also around in The Petersfield School in the village. She used to bring her smelly poodle called Perry into the class, but I was not impressed by Mrs Maddox. She liked to use the ruler a lot and I don't mean just for drawing a straight line! On the other hand, Mrs Baker ran the old Infant school; what a lovely lady she was. Does anyone else remember her?